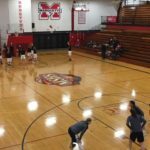 Marquette, MI – January 18, 2018 – The Marquette Redettes basketball team fell to the Sault Ste. Marie Blue Devils by a score of 49-45 at home on Thursday night, in a game that was broadcast live on Fox Sports Marquette 105.1-99.9 and online at foxsportsmarquette.com. 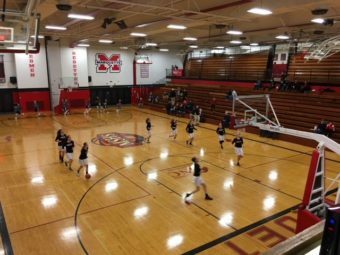 The Redettes, coming off of a tough 42-33 loss to the Gladstone Braves, dropped their second contest in a row against the Blue Devils. The first quarter went over a minute before the Blue Devils opened the game’s scoring on a three pointer. 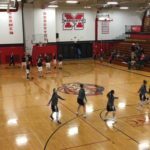 The Sault scored 8 straight points before Marquette was able to answer after Stasha Warchock intercepted a pass and took it the length of the court for a layup. The Blue Devils were noticeably the better team in the first quarter, taking a 16-10 lead into the second, and they continued their dominant ways until the halftime break. At the half, the score was 23-16, with Sault Ste. Marie in the lead. 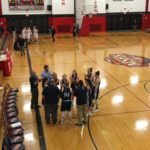 Marquette was unable to cut the Blue Devils’ lead in the third quarter, despite their best effort. Sault Ste. 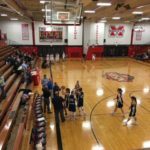 Marie extended their lead to 36-28 after three frames, but Marquette was far from out of the game. 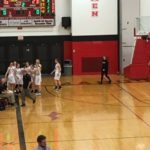 The Redettes made a valiant comeback, cutting what was a ten point deficit coming into the quarter to just two points with one minute to play. The game came down to the wire, but in the end, the Blue Devils came out the victors by a score of 49-45. Leading the way offensively for Marquette was Stasha Warchock with 12 points. 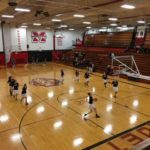 The Marquette Redettes are back on the court on Friday, January 26, when they take on the Menominee Maroons. That game will tip off at 7:15 P.M., and you can catch all the action live on Fox Sports Marquette 105.1-99.9 and online at foxsportsmarquette.com.